Cold, wet, windy winter weather can damage trees, shrubs and garden structures such as trellis. Improving shelter, staking plants, mulching, wrapping pots and careful matching of plants to places will help to prevent this kind of damage. In mild areas, tender plants can be overwintered outside with appropriate protective coverings. In cold or exposed areas, even hardy plants may need some protection from the elements. Evergreen plants and pot plants are at particular risk, so require special attention. Protective wrappings should be put in place at the first sign of frosts. Cultivation practices can be altered from mid-summer onwards to protect plants later in the season. Long-term planning for planting shelter belts or positioning new plants can be done at any time. 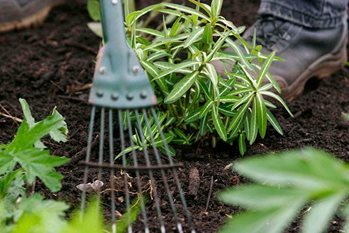 Gardening in a changing climate brings uncertainty and the potential for more extreme weather. Milder winters are not necessarily good news for gardeners as they may prevent the protective deep dormancy common in many trees and shrubs. This increases their susceptibility to frost and scorch caused by cold winds or sudden cold snaps. However, on the plus side the mild winters experienced in recent years have led to better survival of more tender plants, increasing the range of species available to gardeners. If snow sits on hedges or the crowns of trees there is a danger of branches breaking. Shake off excess snow as it starts to build up on branches, and prune hedges to taper at the top to minimise snow damage.